Sergey Mavrodi, the founder of the popular pyramid scheme, MMM, was earlier reported to have died of heart attack on Monday, March 26, 2018 at a Russian hospital. He died at the age of 62. Segey Mavrodi was reported to have died after he felt weakness and pain in the chest area. 1. Mavrodi was born on August 11, 1955, in Russian capital, Moscow, and was diagnosed with bilateral heart defect in his childhood. 2. He was first arrested in 1983 for illegal economic activity and was detained for 10 days. 3. In 1989, he launched МММ with his brother Vyacheslav Mavrodi, and a woman Olga Melnikova. The name of the company was taken from the first letters of the three founders’ surnames. The Russian company perpetrated one of the world’s largest Ponzi schemes of all time, in the 1990s with different estimates from 5 to 10 million people losing their savings. 4. 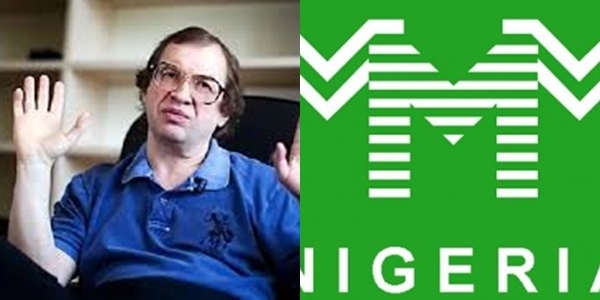 Sergey Mavrodi launched the MMM Ponzi scheme for the first time in February 1994, promising annual returns of up to 3,000%. On August 4, 1994, he was arrested on tax evasion charges, unrelated to the MMM scheme. 5. To escape prosecution, Mavrodi contested for and won a by-election to replace Andrey Aizderdzis in the State Duma, and with it immunity from prosecution. In October 1995, the Duma cancelled Mavrodi’s right to immunity as a deputy. 6. Sergey Mavrodi tried to run for Russia’s presidency, but his bid was rejected after officials ruled that most of the signatures he submitted had been forged. 7. He was placed on an international wanted list in 1998 when he was believed to be on the run from the tax evasion charges and was eventually arrested in Moscow in 2003. 8. In 2007, a Moscow court found Mavrodi guilty of defrauding 10,000 investors of $4.3 million, and sentenced him to four and a half years in a penal colony and also fined him $390. Since he had already spent over four years in custody, he was released less than a month later on May 22, 2007. 9. In 2008, Mavrodi published a book titled Temptation. In May of the same year, bailiffs arrested his rights to the book. 7,000 copies of the book were published. 10. A feature film titled The PyraMMMid, based on the story of the same name by Mavrodi, was released in Russia on April 7, 2011.